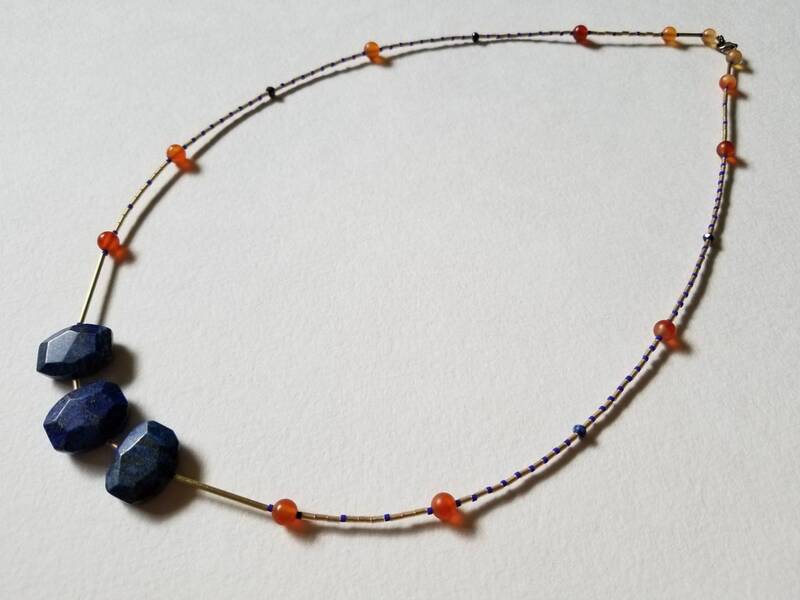 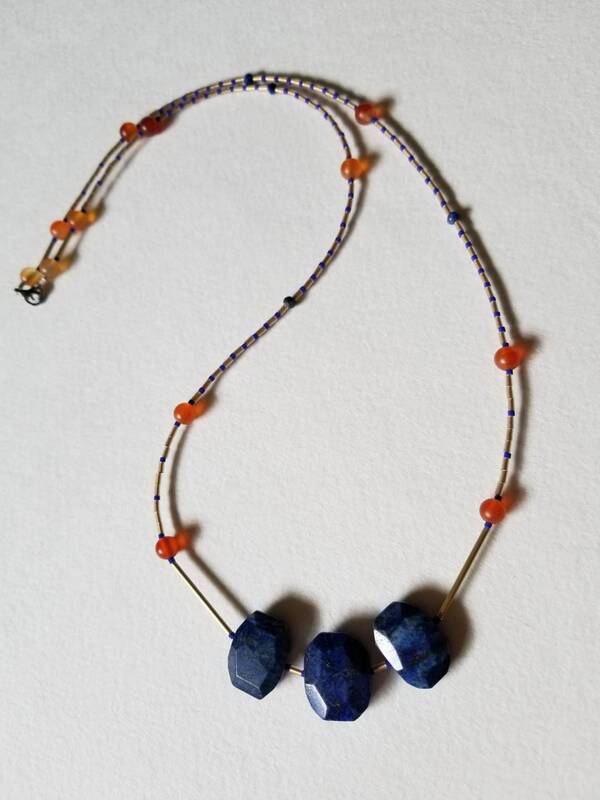 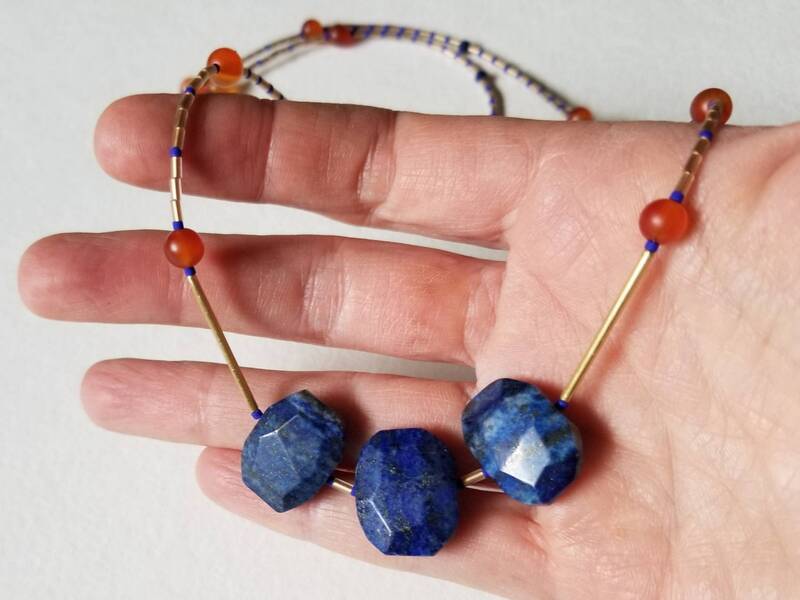 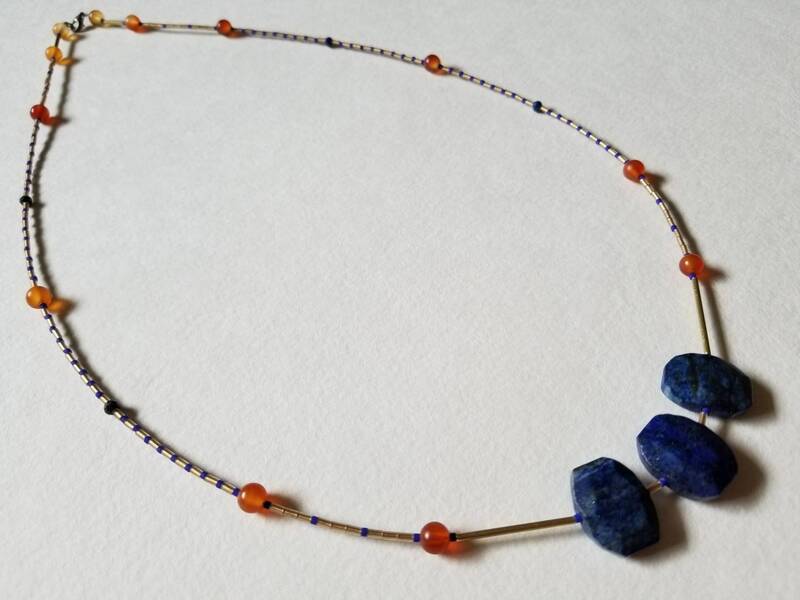 Inspired by Ancient Egyptian jewelry, this necklace features lapis lazuli beads accompanied by hand made brass beads, carnelian, deep blue and 24k gold lined Japanese glass beads. 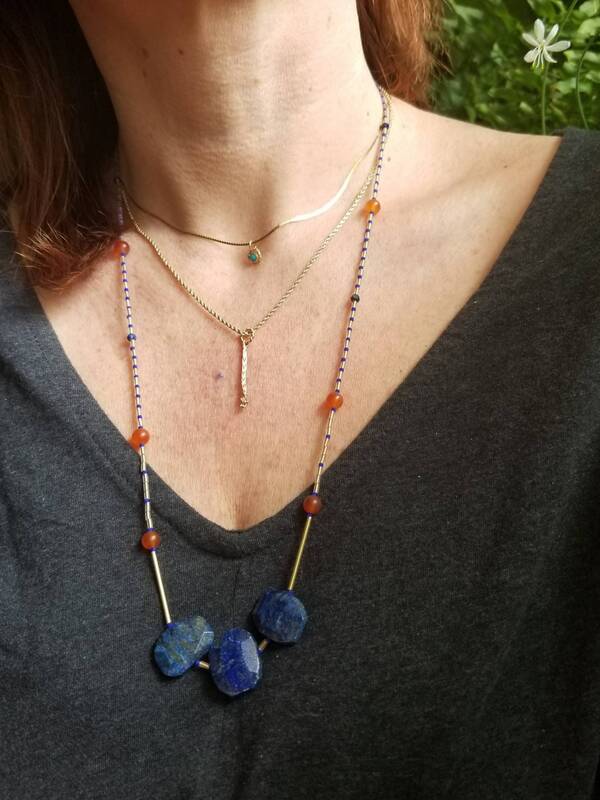 The length of this necklace is 27 inches with a oxidized sterling silver lobster clasp. 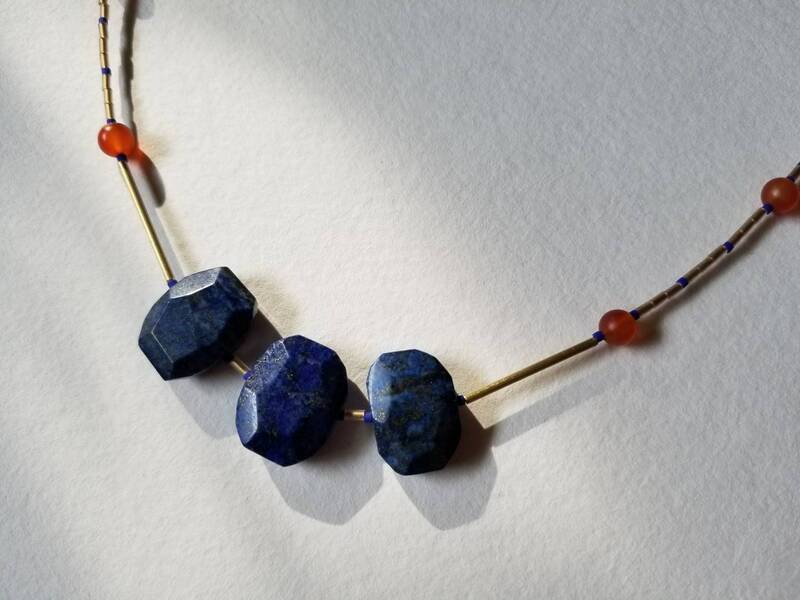 The largest lapis lazuli bead measures 16mm x 20mm.